The way-too-long interview touches on everything from Yeezy's mental health to his beef with Jay-Z. 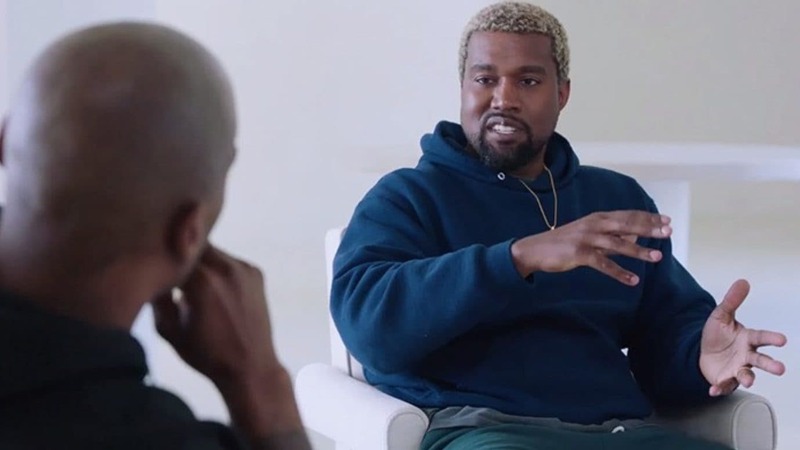 Kanye West sat down with Charlamagne Tha God for a nearly two-hour interview on a range of topics from his 2016 breakdown to his beef with JAY-Z. Obama hurt his feelings. Yeezy admits he was hurt when President Obama called him a “jackass” and insists he’s one of the former POTUS’ favorite artists. “I’m your favorite artist. You play “Touch the Sky” at your inauguration, and now, all a sudden, Kendrick and JAY and all the people you invite to the White House, like, now these your favorite rappers. I ain’t got no problem with these rappers, but you know I’m your favorite but I’m not safe. But that’s why you love me! So just tell me you love me. And tell the world you love me! Don’t tell the world I’m a jackass. I’m fightin’ hard enough. Something about me going on stage was similar to what you was doing. ’Cause I’m fighting to break the simulation, break the setup. That didn’t make no sense,” he said. His on-stage rant about Jay-Z was about money. “That concept that you gave me, that he gave me the money, that’s what frustrated me because, actually, the money was, he got from Live Nation. He, Roc Nation was managing me at the time. That’s something normal that someone gives someone a touring deal. It was a touring deal! But the fact that it was worded that it came from him, I’m a very loyal, emotional, like, artist person. You know, that made me feel like I owed more than just the money itself, the fact that it came from him. You know, it just put me under a bit more of a kind of controlled situation. It’s like—and I don’t—I’m only acting out of love. I don’t need to be controlled. I just need to be inspired and informed. And I can be the best Ye in that way,” he explained. He was jealous of Drake and DJ Khaled. Kanye West believes his public attack on Taylor Swift cost him radio spins and admits he was threatened by the success of artists like DJ Khaled and Drake. He thinks we’re his shrink. Although Kanye West admitted to taking “several medications” he insists on using the public as his therapists. “I use the world as my therapist. Anyone I talk to is my therapist. I will pull them into the conversation of what I’m feeling at that point and get their perspective…I like just talking to acquaintances, friends, family, and I keep them on the phone for 45 minutes at a time, talking through things. It’s kind of narcissistic,” he admitted.